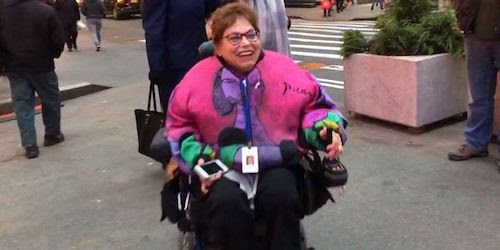 Members of the National Federation of the Blind (NFB) gathered in midtown Manhattan on April 2nd to protest “In The Dark,” a new television series on the CW network. The purpose of the protest #LetUsPlayUs was to highlight the lack of authentic representation of blind people in the entertainment industry; “In the Dark” features a lead actor who isn’t blind in real life, but who plays the role of a blind person on the show. In the weeks leading up to the protest, the National Federation of the Blind issued a statement condemning the show and calling for its cancellation. The organization also wrote to the show’s producers and to CW/CBS executives requesting an urgent meeting. The NFB received a response from the show’s executives stating that they are interested in meeting with the NFB after the first season has aired. You can also listen to NFB President Mark Riccobono recap the protest here. The Ford Foundation has produced a short video that shows why disability rights are central to social justice work. You can read more about the Ford Foundation’s policy about including disabled people in their work here. To watch the video on the Foundation’s Facebook page, click here. Lisa Iezzoni graduated from medical school but didn’t end up becoming a practicing doctor. This was before the Americans with Disabilities Act passed in 1990, and she says she just didn’t have the support. 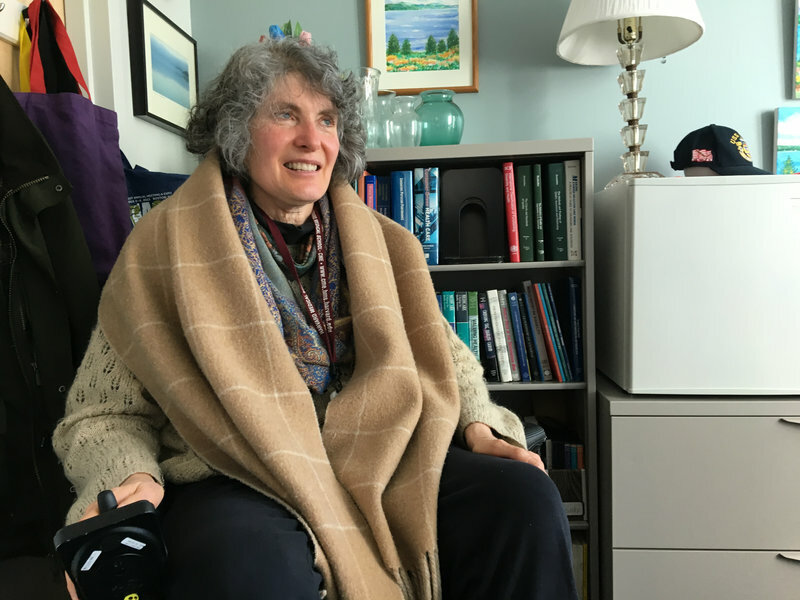 Read her story in Doctors With Disabilities Push For Culture Change In Medicine, produced in collaboration with WHYY’s The Pulse, NPR and Kaiser Health News. Former U.S. Treasury economist Ernie Tedeschi wrote a guest column for the New York Times analyzing recent labor force employment data. Tedeschi sourced his information from the Census Bureau’s Current Population Survey and discovered promising signs that people with disabilities are returning to the labor force. Check out Tedeschi’s full report in NYT and readers’ comments about why the trend is occurring. NCDJ hiring a Program Manager – Application Period open now! Do you or someone you recommend want to work with us at the NCDJ? We are now accepting applications for a part-time paid Program Manager. CLICK HERE to read the full job description online and to apply. The application period ends at 3pm Arizona Time on Wednesday, December 13. Today, October 31st, is the last day of National Disability Employment Awareness Month. The goal of NDEAM is to promote resources for employees with disabilities and their employers. Ted Simmons of Arizona PBS recently interviewed Pv Jantz about resources offered by the Arizona Commission of the Deaf and the Hard of Hearing. Jantz, who is deaf, says employers shouldn’t assume what type of accommodation a new co-worker needs. The best approach is to ask the employee what they prefer as an individual. 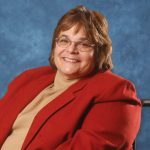 Workers with disabilities tend to be experts on which accommodations best fit their individual needs. Jantz also recommends the website www.AskJAN.org (the Job Accommodation Network) as a resource for employers and employees with disabilities. A recent research paper by the Ruderman Foundation surveyed employment of actors with disabilities in the TV industry. This article by Deadline Hollywood breaks down the numbers and reports which studios lead in diversity. To read the Ruderman Foundation’s report directly click here. David Uzzell is a deaf chef at Marcel’s, a high-end restaurant in Washington D.C. Uzzell and his colleagues use laser pointers, hand signals and a notepad to communicate meal orders and discuss kitchen operations. NPR reporter Kristin Hartke interviewed Uzzell and his boss Robert Wiedmaier about Uzzell’s work and creativity. “I couldn’t have hired David if he had no taste or sense of smell. Being deaf hasn’t stopped him from being a damn good chef,” Wiedmaier said.